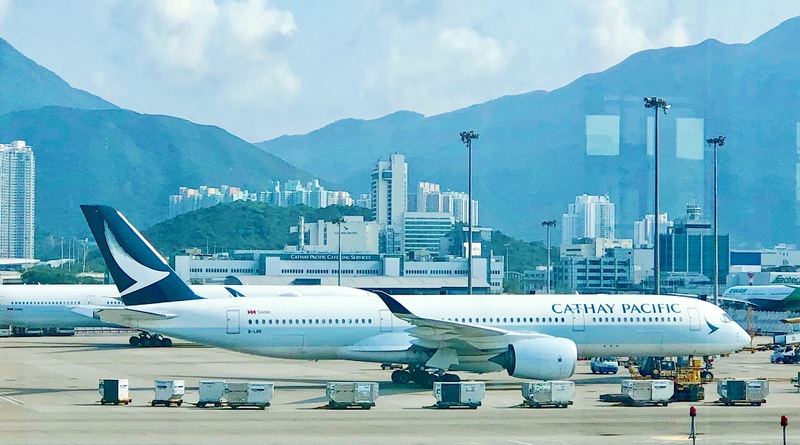 Cathay Pacific is one of the best airlines based in Hong Kong and is known to deliver world-class services, so when we planned our trip to Hong Kong recently, Cathay Pacific was our obvious choice. But did we make the right choice and what was it really like to travel with Cathay Pacific? 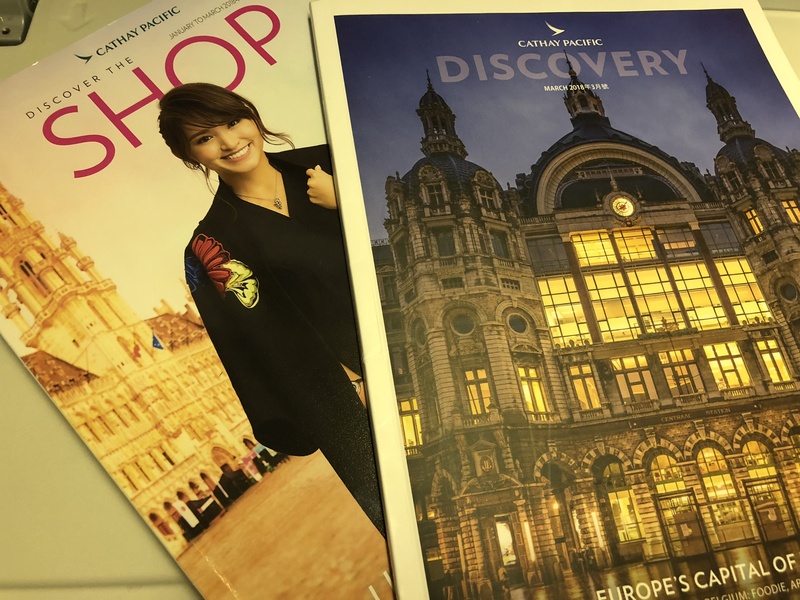 Well, you should first grab a cup of tea or coffee, sit back and read to find out about our flying experience with Cathay Pacific (Economy)! Mumbai International Airport boasts one of the most fantastic and beautiful architectures I’ve ever seen. 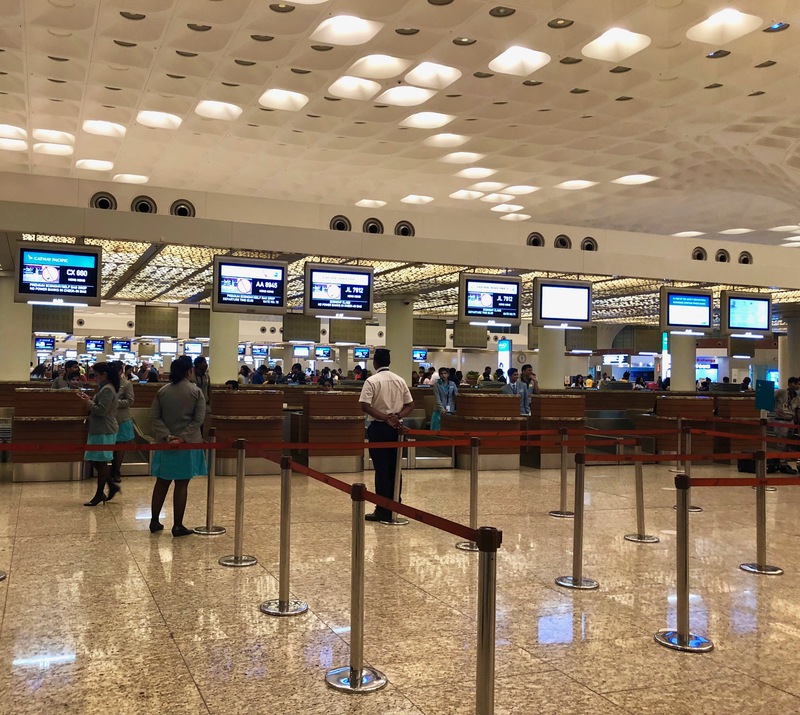 The airport is enormous, but as you walk into the departure area at Gate 7 – Terminal 2 you will see a massive row of Cathay Pacific check-in desks. We were greeted by a polite gentleman from the airlines who escorted us to the check-in counter. The check-in process at the Mumbai airport was a breeze and it was likewise at the Hong Kong airport. 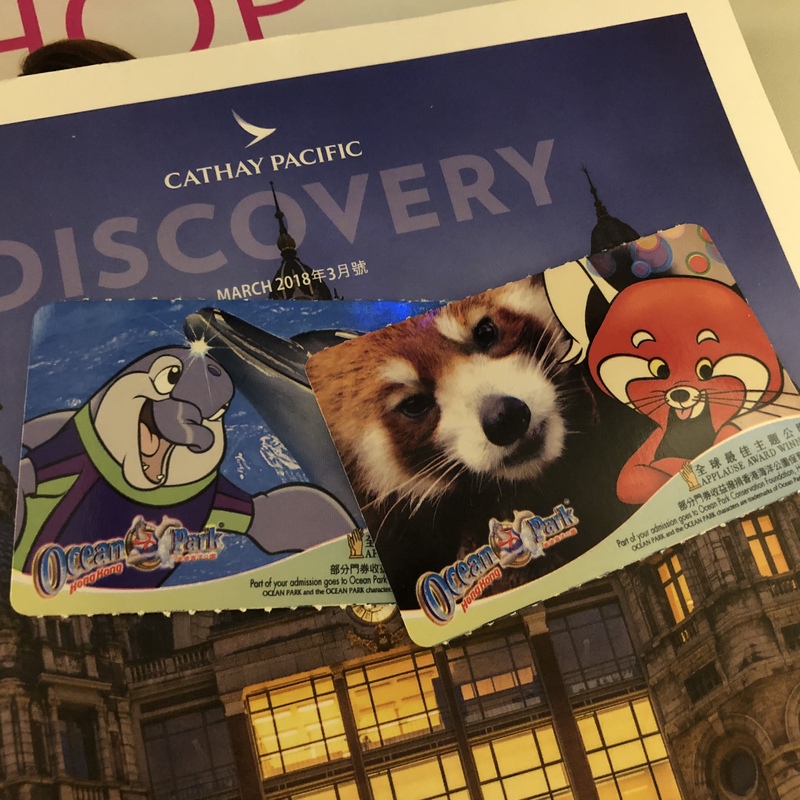 We also got free tickets to Ocean Park as a promotional scheme from Cathay Pacific which we thought was great! You can visit their website HERE to check out latest promotions and offers. 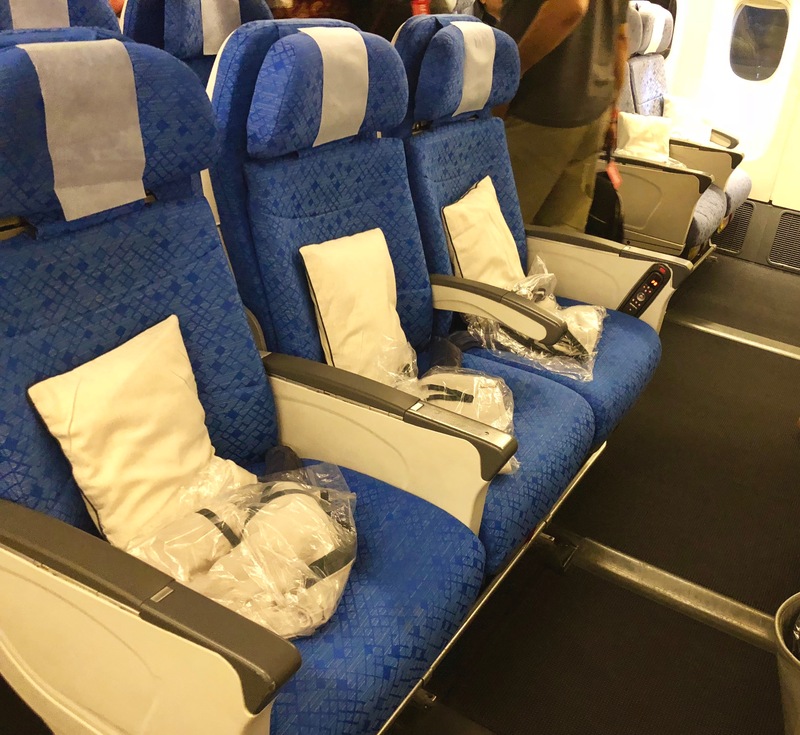 Well, Cathay Pacific Economy Class surprised us on the seat + comfort department. The seats were quite wide and the legroom was pretty amazing. 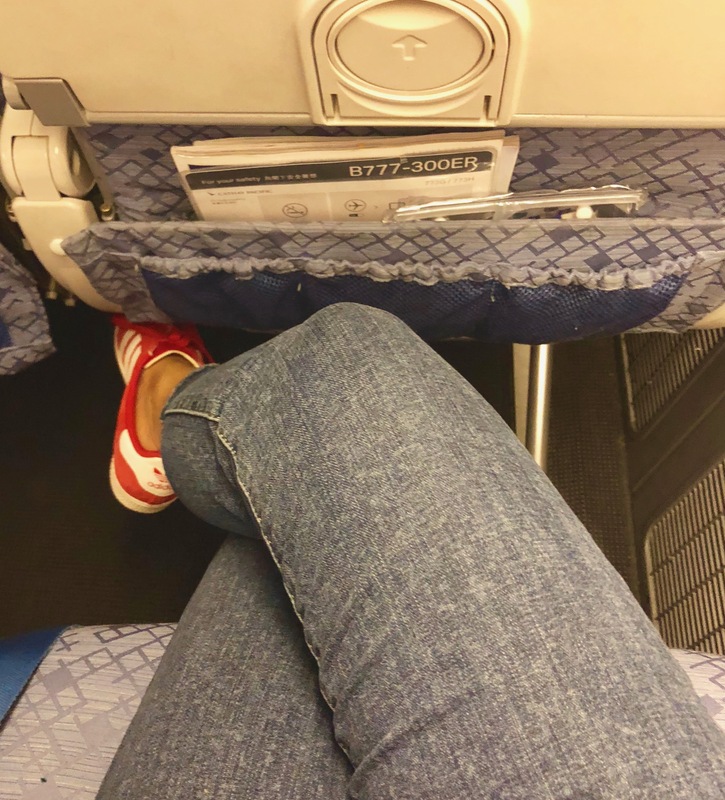 To be honest, these were one of the comfiest seats we have ever found while flying economy. 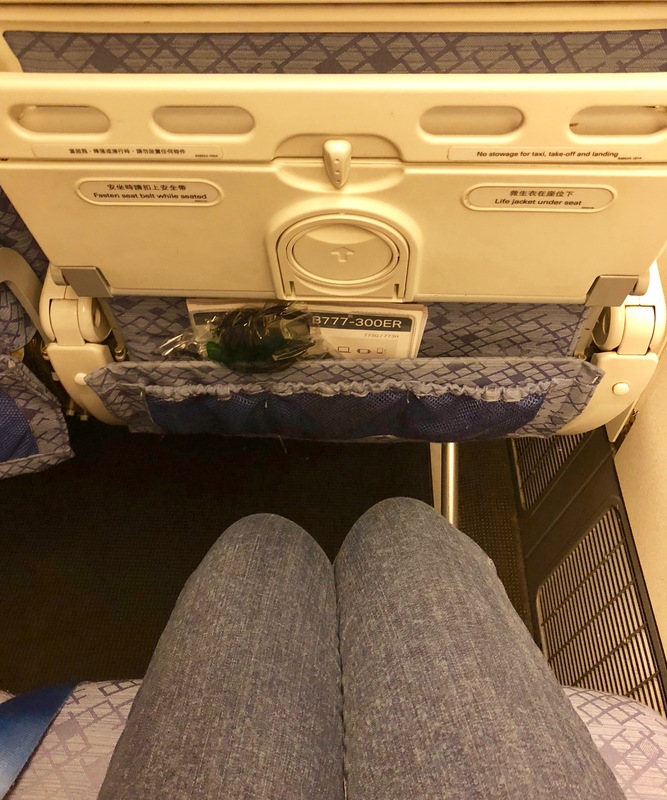 While flying from Mumbai to Hong Kong (CX 660), the flight was a 3 -3 -3 seater and we were very lucky to get the window and the aisle seats with the middle seat being vacant…big YAY! On the flight back from Hong Kong to Mumbai (CX 699), the flight was a 2-3-2 seater and once again we were lucky to get the window and aisle seats. The only thing was that this aircraft was perhaps smaller and so the seats weren’t as comfortable. We felt they were narrower than the ones on CX660 and the leg room was lesser. 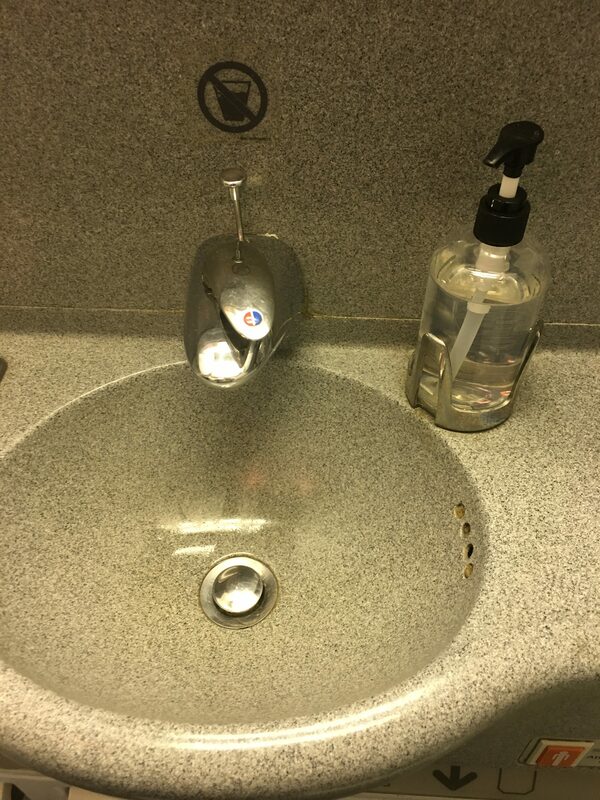 The cabin on both flights was neat and clean. The entertainment screens were functional, the entertainment options (music and movies) were good and up to date and we were provided with good quality headphones. 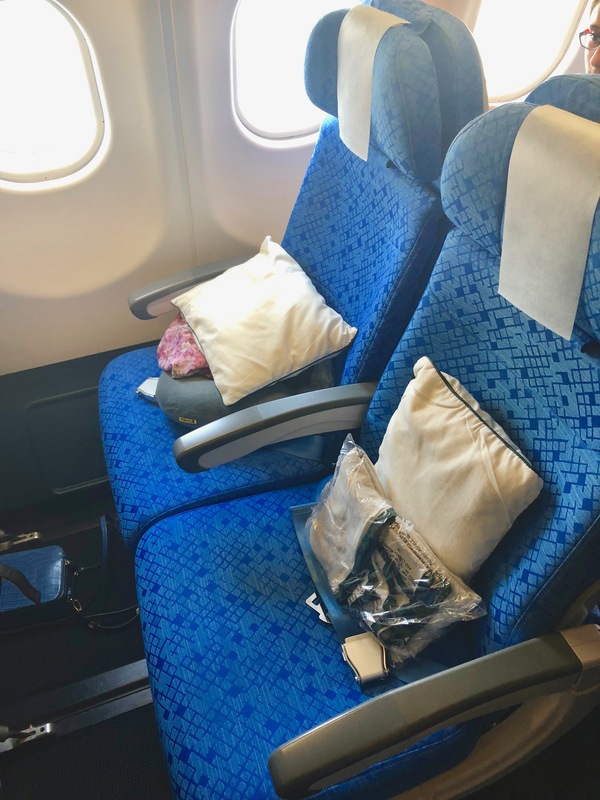 There was also a neatly packaged blanket and a pillow on every seat to make sure you are warm and comfortable on the flight. 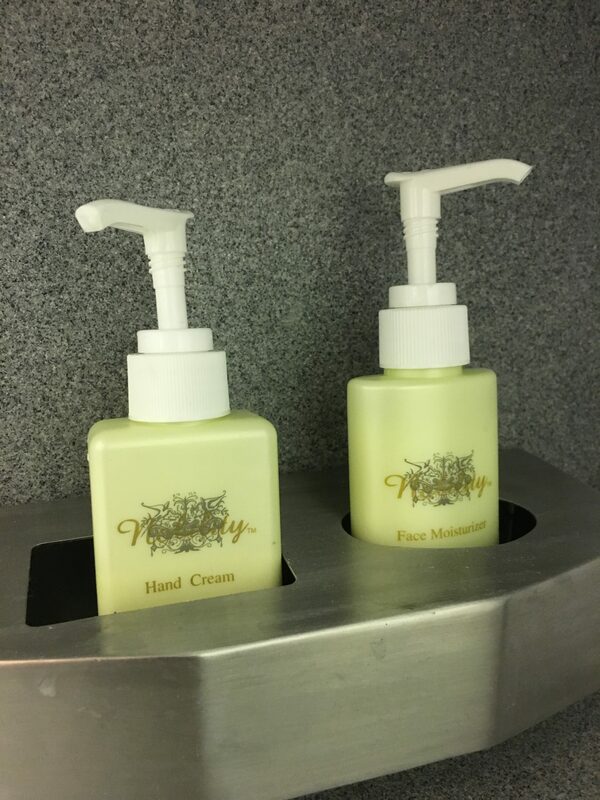 The toilets, though small, were clean and tidy… something we always appreciate immensely! There is nothing better than having well-trained and polite cabin crew attending to you and that is exactly what Cathay Pacific offers. The service is efficient and fast and the cabin crew is friendly and thoughtful. The crew members spoke Cantonese, Mandarin, English and Hindi, so communication should not be an issue and we thought this was a huge plus! 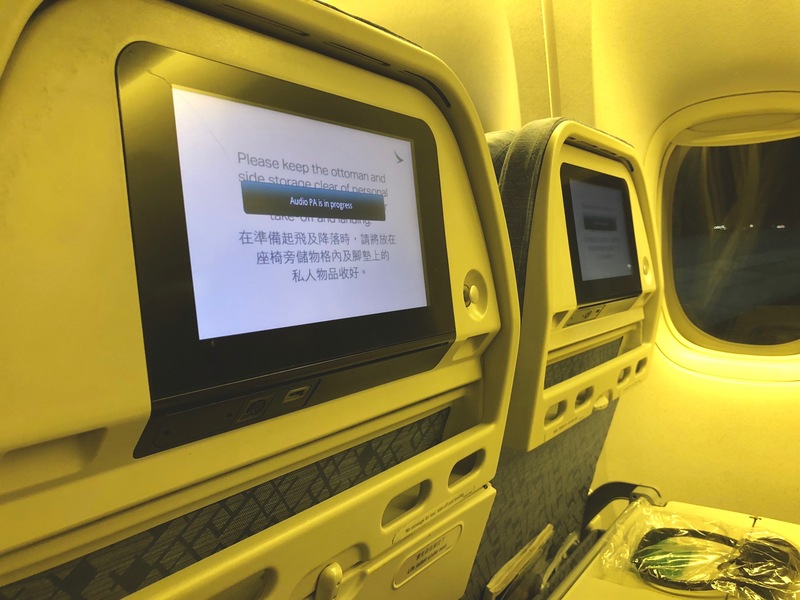 On the flight from Mumbai to Hong Kong, the food wasn’t served until breakfast time, possibly because it was a red-eye flight and they did not want to disturb passengers, though refreshments like cold drinks and canned juice were served at regular intervals. Talking about the flight from Hong Kong to Mumbai we thought the dinner was served a little too early, we could have asked them to serve us later, but then we were kind of hungry ☺, so didn’t mind it at all. Coming on to the food, there was a decent choice between 3 meals – you could pick between chicken and fish or opt for the vegetarian meal. 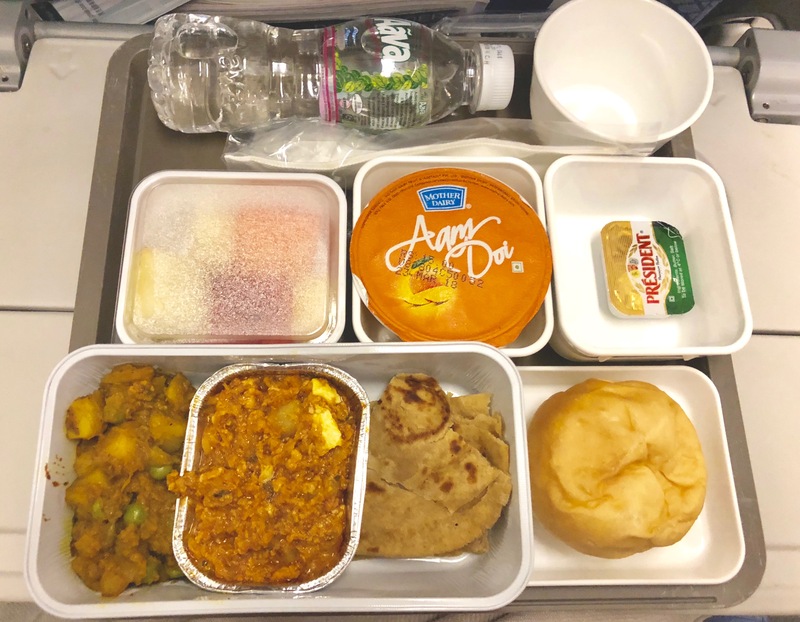 On the flight from Mumbai to Hong Kong (CX 660), we were served breakfast and we opted for the Non-vegetarian option that came with chicken and parantha. There was also a potato and peas veggie mix along with a bowl of fresh fruit, bun and butter and a dessert. All in all, a decent meal, but we personally felt the quality could have been better. 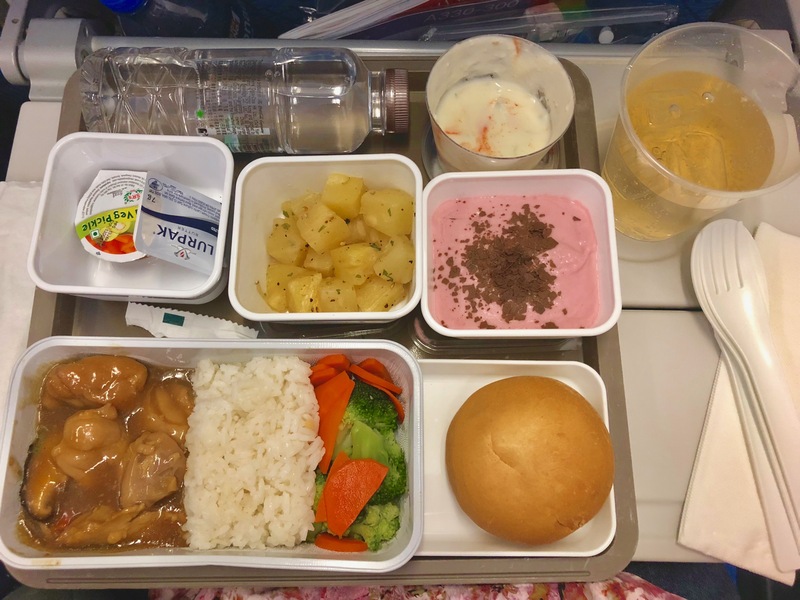 On the other hand, the food served on the Hong Kong – Mumbai (CX 699) flight was very good. We opted for chicken and rice with some veggies which were accompanied by a bowl of refreshing cut pineapple, a bowl of curd, plain bun, butter and strawberry mousse. The option for drinks was also decent – I opted for a glass of refreshing ginger ale, while Karan opted for beer, though he was a tad bit disappointed as they only had one option for beer, Heineken, not one of his favourites sadly. However, as mentioned above, on the flight from HK to Mumbai (CX 699), the food was fantastic and we had no complaints whatsoever. 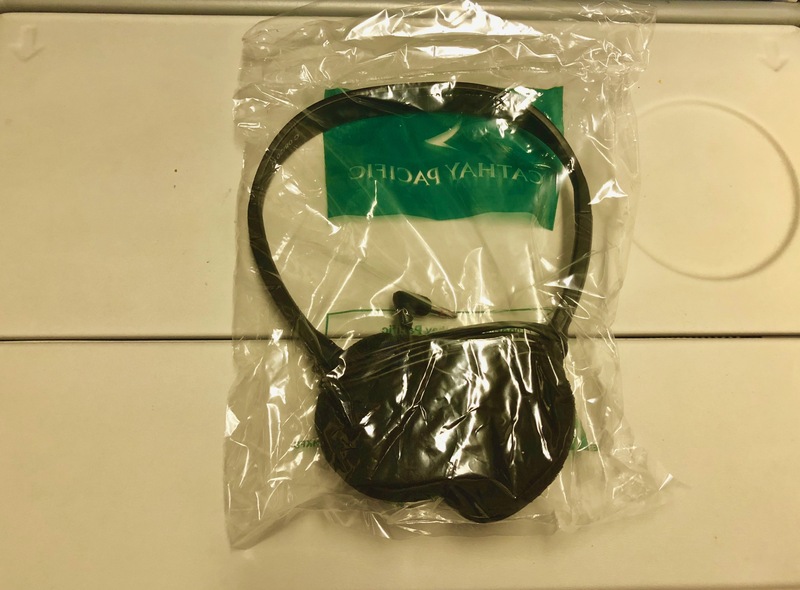 Another point which we would like to mention is that Cathay Pacific does not give a printed menu to its guests in economy class which we feel is kind of nice as it restricts paper wastage. If you have any specific dietary requirement, it’s best you choose your meal beforehand while doing the web check-in (they do have quite a lot of options to choose from). 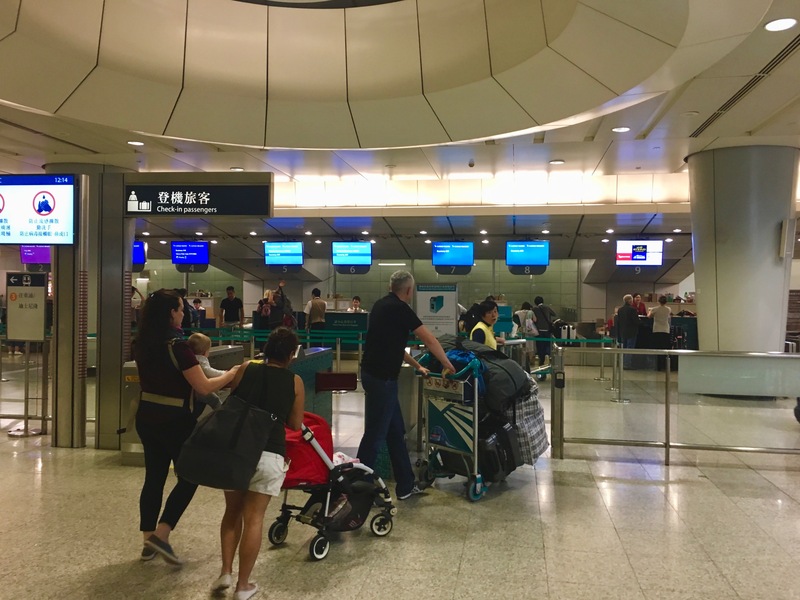 What really impressed us was the fact that while coming back from Hong Kong you can check in your luggage 24 hours in advance at the Cathay Pacific counters at Hong Kong Island or Kowloon Airport Express Station. We LOVED this facility! Even if you don’t have to advance check-in, it makes travelling to the airport hassle free. We did not have to drag our heavy luggage into the airport shuttle or drag it at the airport. 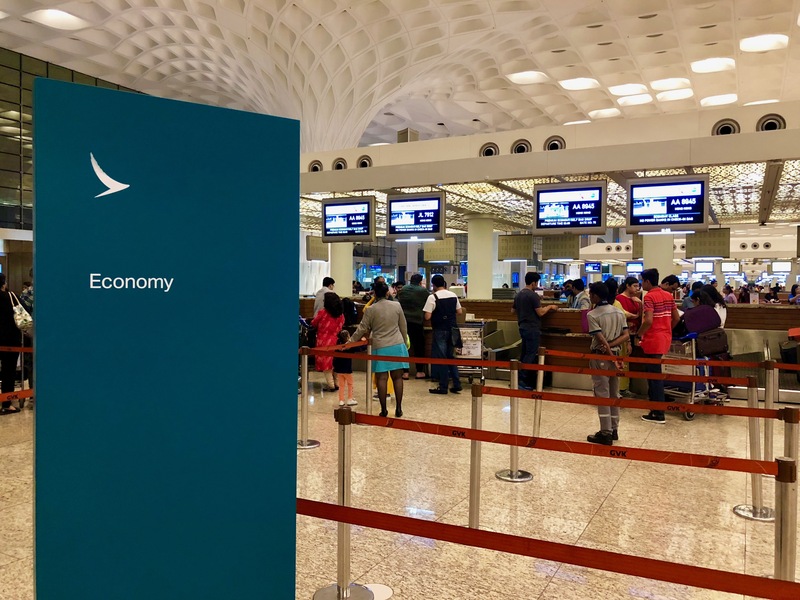 All we had to do from here on was get on the flight and collect our bags at Mumbai…. how cool is that? !